Pete brought me a challenge from Sarah's house - make their carbon monoxide alarm louder. A malfunctioning boiler and landlord means they suffer frequent CO problems. I suggested that Pete buy a personal attack alarm from the SUSU shop whilst I figured out how to get a signal out of the CO alarm. 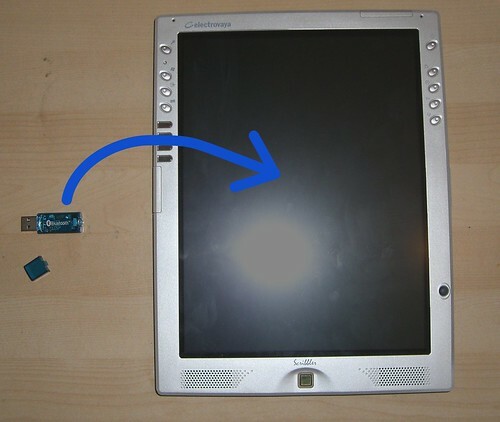 I wanted to add internal bluetooth to my tablet PC, so I took a USB bluetooth dongle and shoehorned it into my tablet; adding a little control PCB to allow it to be turned on and off.